The opposition National Democratic Congress has implored the Ministry of Finance to immediately place newly recruited Medical Doctors on payroll. 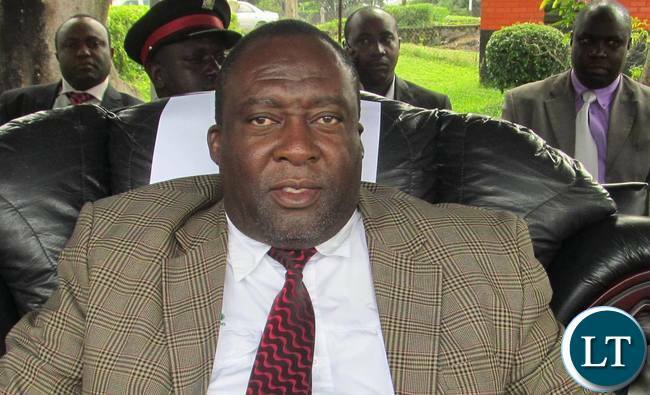 NDC General Secretary Mwenya Musenge said revelations that 200 newly recruited Medical Doctors have not been placed on Government payroll makes sad reading. Mr Musenge further regretted that the affected recruits have gone for seven months without pay. He feared that the failure to place the recruits on payroll might exercebate the lbrain drain. “This inability to look after medical Doctors will no doubt discourage those in the diaspora from returning home. Equally, graduating Medical Doctors will not find it attractive to work for Government,” Mr Musenge said. Mr Musenge said the Permanent Secretary in charge of Administration at the Ministry should be seen to be above board in the manner staff matters are being handled. He charged that there is no compiling reason why Government should have difficulties in paying newly recruited staff because all replacements and recruitments in the civil service are properly planned and budgeted for. Mr Musenge stated that this carder of medical staff have not been placed on payroll for close to one year now. “The Ministry of Education also has a tall order of teachers outside the payroll. We challenge Government to come out in the open and explain why it is failing to remunerate its workforce. The NDC has information that Government has challenges in raising money for salaries for civil servants. We first brought out this issue three months ago. The Treasury has never responded over this matter,” he said. Mr Musenge said the debt burden has overwhelmed Government and is now hindering service delivery. He also demanded for clarity from the Public Service Management Division on this matter. Look who’s talking. No wonder there no postings here. My sister in law went for months without pay but when it came, it was like a bonanza machine let loose.